I’ve been skating since I was 10 and I mainly skate transition. 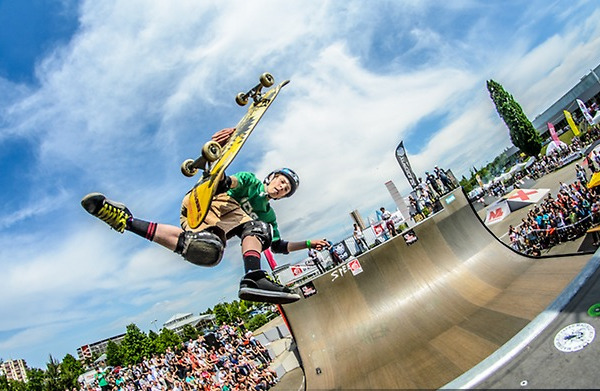 I love mini ramp, bowl, park and especially vert. 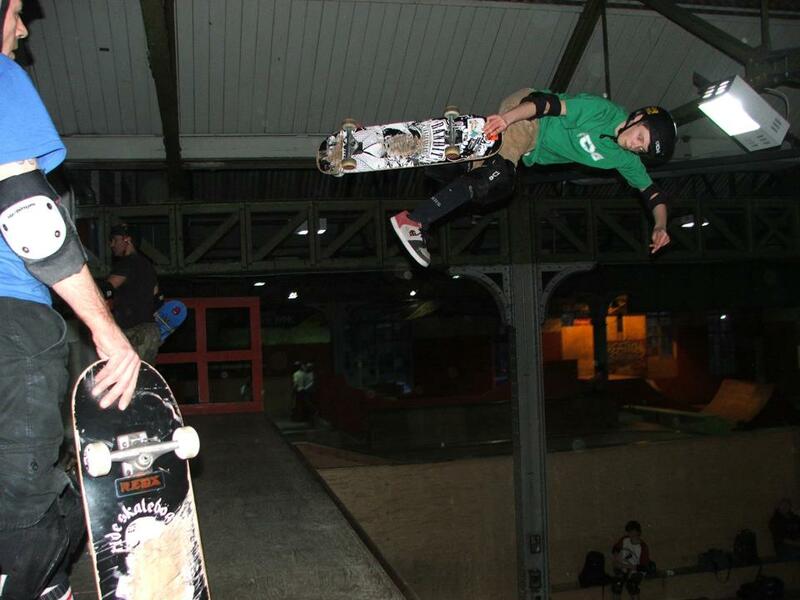 I got into vert when I was 11 and have been lucky to skate all over the UK, Europe and even in the USA. I live in the UK at the moment with my parents and brother. I turned pro in Jan 2014 on my 16th birthday. I am currently single! I train quite often and I keep fit too. Eventually I hope to be able to spend more time skating in the USA. My family and sponsors have been really supportive, I think I’m very lucky for that. In the short term I want to be able to keep skating full time and to keep getting better. Longer term I want to try to become a regular rider on the Dew Tour. To get on the Dew Tour and maybe to land a 900 on a vert ramp. I’d really like to invent a new trick so I can name it, which would be so sick. There’s so little margin for error when you’re doing tricks up in the air like that. So it’s really tough to do hard tricks back to back to back like you need to do in a competition run. You need to be pretty fit as well as flexible and quite brave sometimes. It takes a lot of practice to get good. 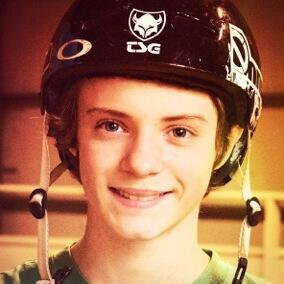 Honestly; when I land a new trick I feel so happy, it’s like Christmas day when I was a little kid. It’s the same when I land a new run that I may have been working on for a few weeks before I land the whole thing. It’s the sense of having faced my fears and won. 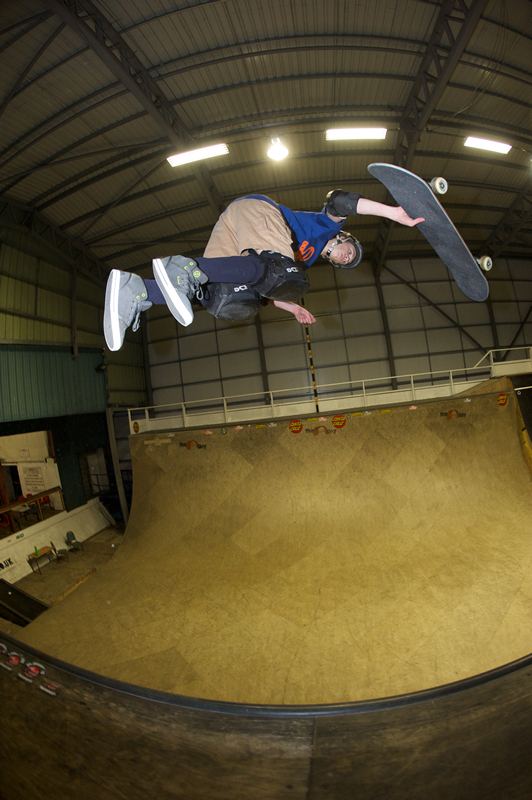 I recently moved about 140 miles so I could be closer to the best ramp in Europe, it’s at a place called Adrenaline Alley in a town called Corby in the UK. I ride a lot on my own in the daytime and I know some people don’t like to ride alone but I actually don’t mind it. I seem to get more done when it’s just me there. I think there are a few things really. First of all I do go to the gym to keep, strong and flexible. This helps me minimize minor injuries so my training isn’t held back through time off in recovery. Second I always have a plan of what I want to achieve that session / week / month and this helps me stay focused and stops me wasting sessions. Finally I take an interest in sports psychology. I think if you can get your mind working for you rather than against you then that’s half the battle won to making progress. Just messing up and wasting all the time and effort I put into getting ready for the competition. I just always want to land my run. I don’t really care or even take notice of what anybody else does because I can’t control them. All I can control is me and how I perform. If I land my run I’m happy, it doesn’t matter where I come, that’s up to the judges, not me. So I feel like I’m competing against myself really. I suppose my dad is my biggest fan. He has driven me all over the country and Europe, for years he drove about 600 miles a week to get me to training and back. He has always been there to pick me up when I have been down and he’s helped me find sponsors too. 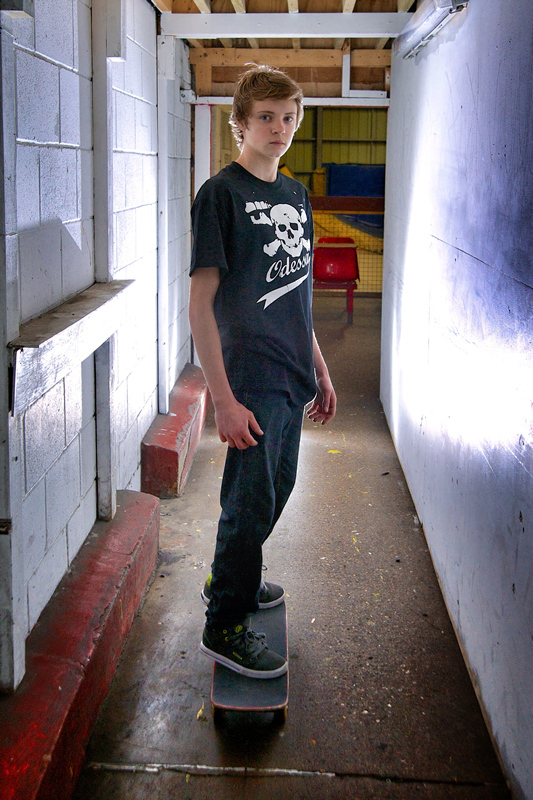 I think it’s fair to say I would not become a pro skater without his support. This is a hard one! I suppose it’s “don’t forget to have fun”. 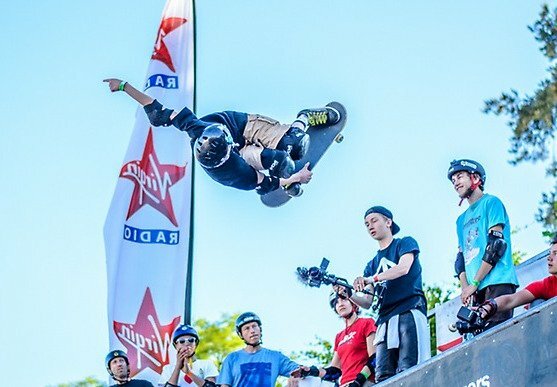 It can all get quite intense in the middle of a big comp but at the end of the day I skate because I love the feeling of flying around on a plank of wood with 4 wheels attached. That’s why I got into it and it’s why I will be still doing it long after my pro career is over. It’s nice to win and place for sure, but it’s more important to have a good time with your friends and to cheer everybody else up too. Anyways I skate better anyway when I’m having fun. Well I’m working very hard on getting better at my sport. I want to try to step it up so I can skate with my skating heroes on a regular basis. It’s going to be tough because there are a lot of great skaters coming through from all over the world all at the same time, but I’m up for the challenge. “Don’t forget to have fun” and don’t worry too much about getting sponsored either. Sponsorship will come anyway if you get good enough. It’s not all about getting sponsored. Just have fun with your friends, challenge each other to try new stuff every time you skate and remember why you got into skateboarding in the first place. It’s about having fun on plank of wood with 4 wheels with your mates.